This oil is made with our hemp seeds, guaranteeing a THC content below 0.2 %. The culture by La Chanvrière does not require pesticides or irrigation. GUENARD hemp oil is 100 % natural. 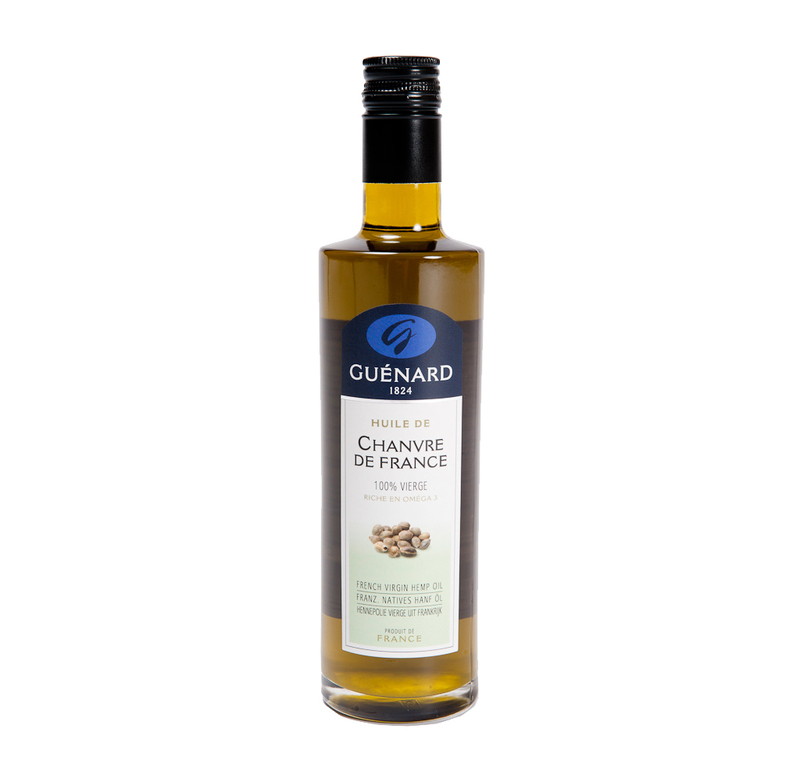 Rich in Omega 3 and Omega 6, essential fatty acids which help to prevent cardiovascular diseases. This oil is cold pressed and can be used for seasonings and preparations. Marketed as flavored oils and dietetic oils, hemp oil also contains vitamin E, a natural antioxidant that protects the membranes of our cells, and contributes in delaying aging effects in skin.